Hello! 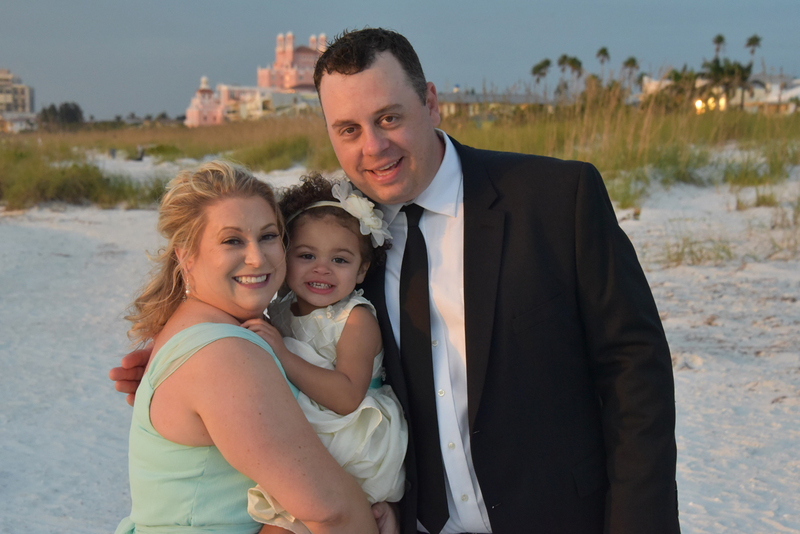 We’re Greg, Kelsey & Nora and we want to start by thanking you for reading our letter. We are excited for the chance to grow our family and truly appreciate you taking the time to get to know a little bit about us. We hope to share with you a glimpse of who we are and what our lives are like. Choosing an adoptive family for your baby must be an incredibly difficult decision to make and we wish you the best of luck in your journey. We grew up in the same South Hills suburb and went to the same high school, but we didn’t meet and start dating until we were working together at summer camp in 2001. We have been married for 13 years and have enjoyed many adventures together. Camping, hiking, and traveling are some of our favorite activities, but becoming parents has been our greatest adventure of all! 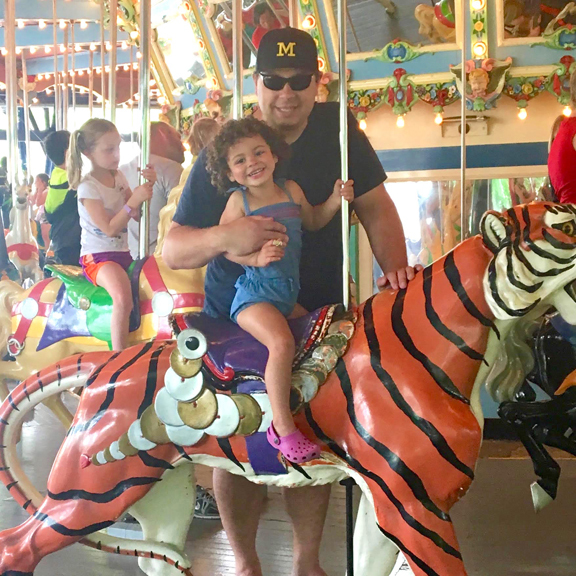 Having children has always been part of our family vision and supporting each other through multiple miscarriages has strengthened our marriage. We ultimately made the decision to adopt and we were honored to be present for Nora’s birth in 2015. Nora is an outgoing, happy, smart, and energetic three year-old. She loves running, climbing, swimming and anything active, but she’s also quite content to play with her baby dolls and princesses or to snuggle and read books. Nora loves helping her mommy with cooking and cleaning and Nora even goes to the preschool at the high school where Kelsey teaches. 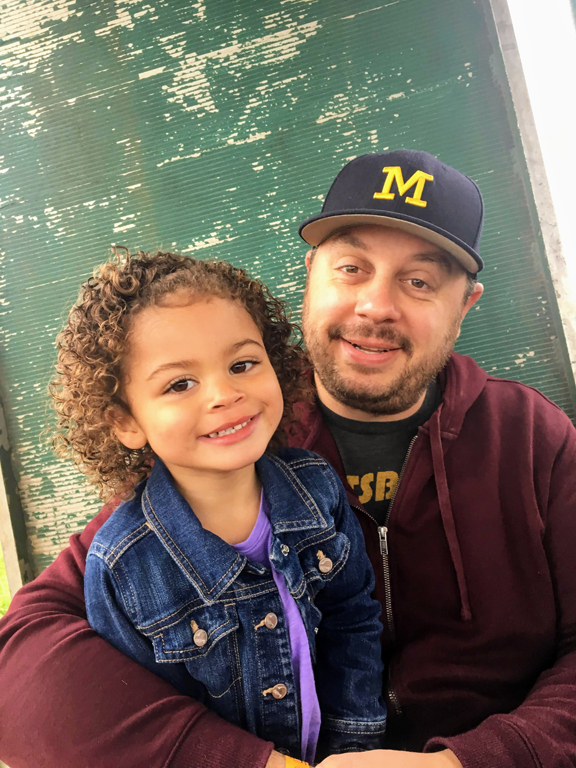 Nora and her daddy enjoy playing on her swing set in the backyard together and love spending quality time together during the week on Greg’s weekday off. 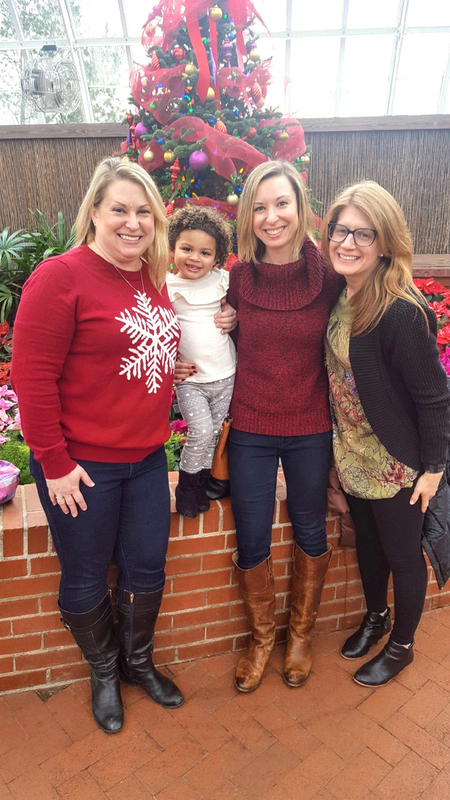 We have recently started sharing Nora’s adoption story with her and are happy that we are able to get together with Nora’s birth grandmother and half-sister a few times throughout the year. Nora is so excited to become a big sister but is having some trouble deciding on whether she would like a baby brother or sister, so as of now she would like “both”! For as busy and energetic of a kid that she is, it’s amazing to see how calm and gentle she is with babies and animals. We both grew up with siblings and we want Nora and her little brother or sister to someday share great experiences as well. For the last 14 years, Greg has been the manager of a local, family-owned retail store. He is a hard-worker both at the store and at home where he has completed numerous home improvement projects. He has a close group of buddies from high school who he still gets together with to go to camping and to concerts. 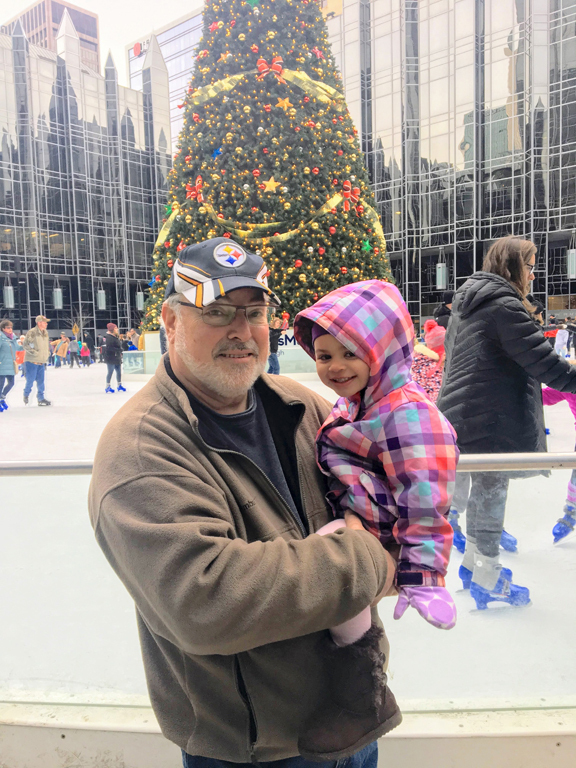 Greg grew up in Pittsburgh with his parents and younger brother, however his father’s company relocated the family to South Carolina during Greg’s senior year of high school. His parents are now retired and continue to reside in South Carolina. Greg’s brother lives in Atlanta with his wife and two sons. We get together with all of Greg’s family a few times each year for beach vacations, holidays and long weekends. Nora always has so much fun with her cousins and her nana and papa; the entire family is so excited to welcome another child to family! Kelsey is a teacher at the high school just up the street from their home. 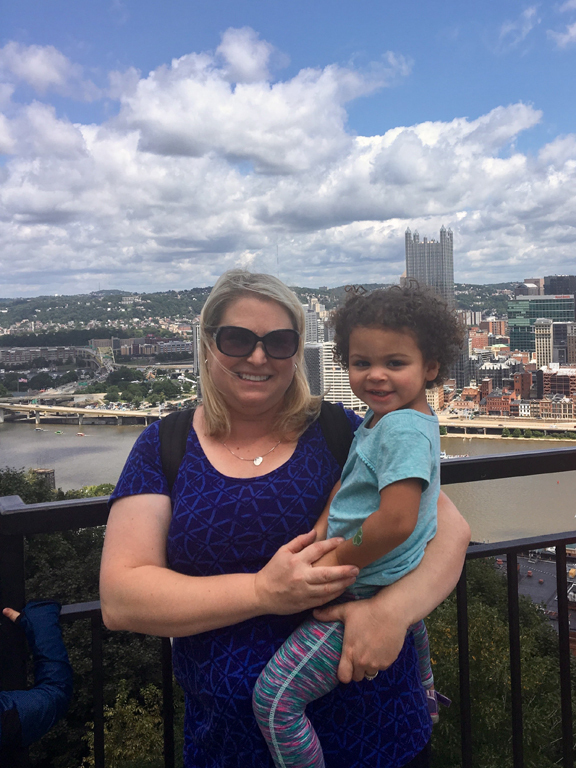 She grew up in Pittsburgh with her parents and two younger sisters. Her mother passed away when Kelsey was fourteen and her father remarried just before Kelsey started college. 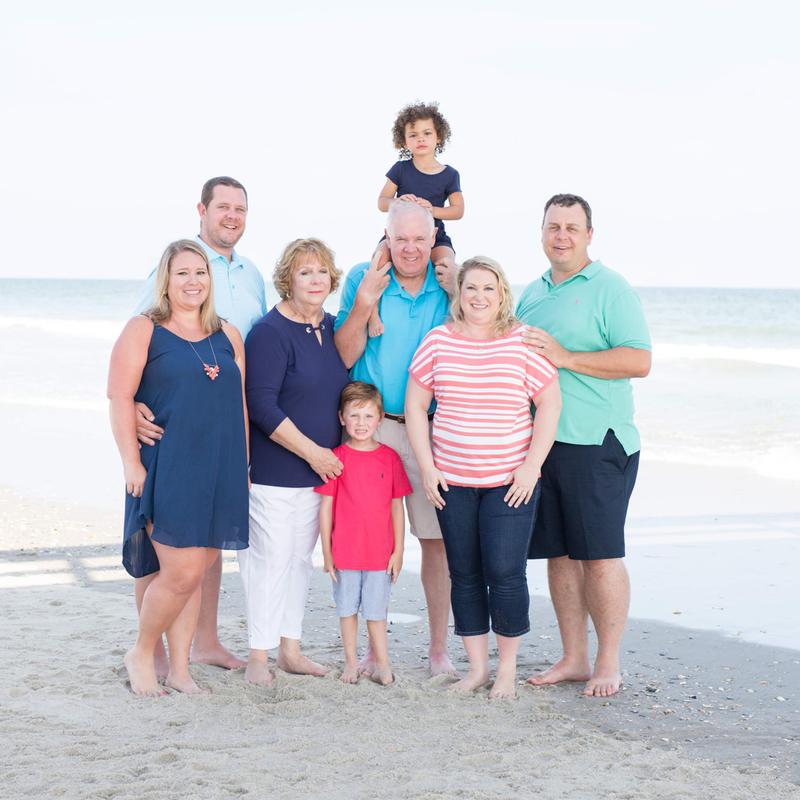 Kelsey’s family grew to include her stepmother and two younger stepsisters and they have all enjoyed the love and support that comes from having a large blended family. This support was especially needed when Kelsey’s stepmother passed away from cancer in 2007; Kelsey, her dad, her sisters, and stepsisters have all grown closer through their shared losses and they continue believe that love, not blood, is what makes a family. Kelsey’s family is doubling in size with the recent marriage of one of her sisters and the upcoming weddings of her other sister and stepsister! Both of Kelsey’s stepsisters and her father currently live in Pittsburgh, while her sisters live in Philadelphia and Florida. They treasure their family time together during holidays and vacations and are enjoying all of the past and upcoming wedding events that continue to bring them together. Kelsey’s father, Nora’s “Zadie”, lives close by and comes over to babysit often. Nora loves when Zadie comes over and they go to the movies and out for ice cream! Adopting our daughter has been an amazing experience, but we feel that a family of four is what we are truly meant to be. Continuing an open relationship with our children’s birth families will continue to be a priority for us and we are flexible with the amount of openness, if any, that you desire. We are hoping to adopt either a Caucasian or biracial baby. Finally, we look forward to our family’s future together and hope that it includes many more family vacations, Christmases, Hanukkahs, weddings, cousins, adventures, and LOVE! We can be contacted through the Children’s Home of Pittsburgh, or directly at gregandkelsey2018@gmail.com or 412-308-5417 (call or text).